How many baby gifts do you buy a year? Me, I buy about three a month for new nieces, nephews or friends welcoming a new baby. And I’ve been going at this rate of baby gifting for the last 10 years. Thus, my goal for a baby gifts is UNIQUE (fess up: we’ve all received two copies of that same Carters footie) and CHEAP. 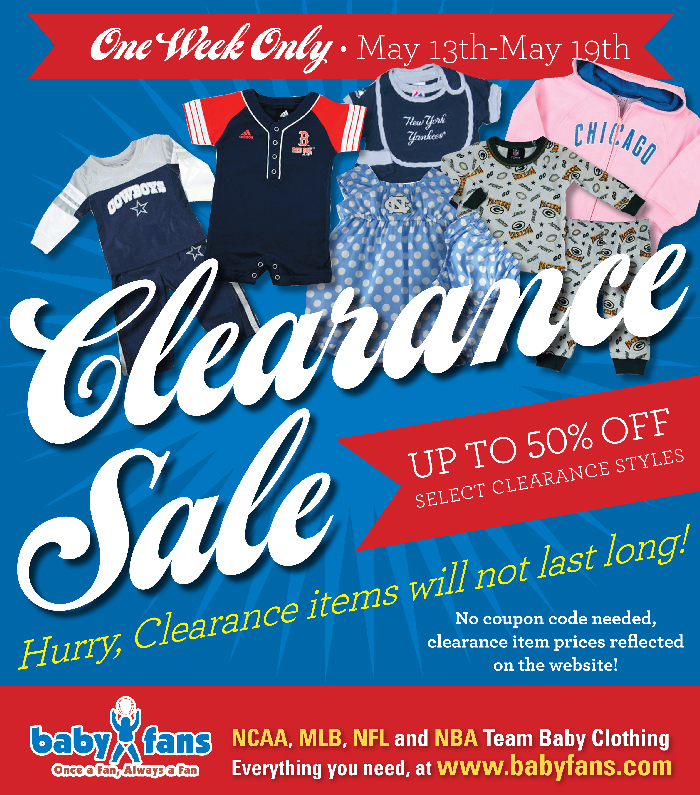 This week we are soooo in luck: Baby Fans — my favorite online baby store that specializes in clothing, bottles, pacifiers and more baby gear from 15 Major League Baseball teams, 26 NFL teams, NBA teams and 25 sporty colleges — has marked a ton of styles and items on clearance! 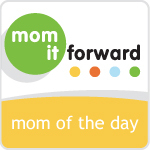 You can totally personalize your gift to reflect mom or dad’s favorite team or alma mater. With the way my friends and family keep making their beautiful babies, I’m stocking up — tons of styles are up to 50% off. 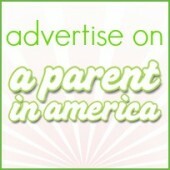 No coupon code needed, just shop at www.babyfans.com to see which products are marked down! Disclosure: I received a BabyFans item for review in 2011, however, no additional compensation or swag was received. I just love a sale. And babies. Especially chubby babies in little baseball jerseys and caps. Oh, my ovaries. Very great post. 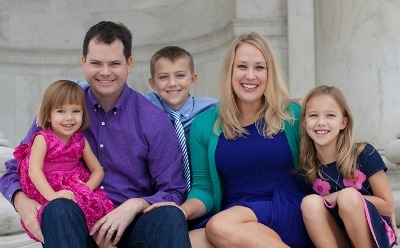 I simply stumbled upon your weblog and wanted to say that I have truly loved surfing around your weblog posts. After all I will be subscribing on your feed and I am hoping you write once more very soon!